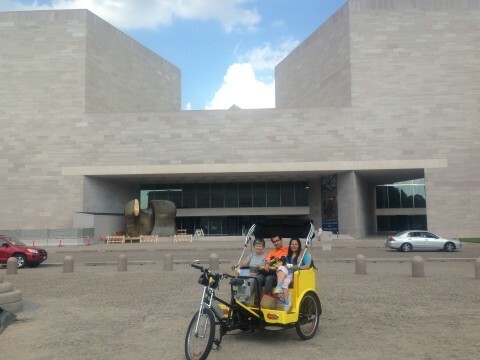 Looking for the Top 5 Washington DC Museums? 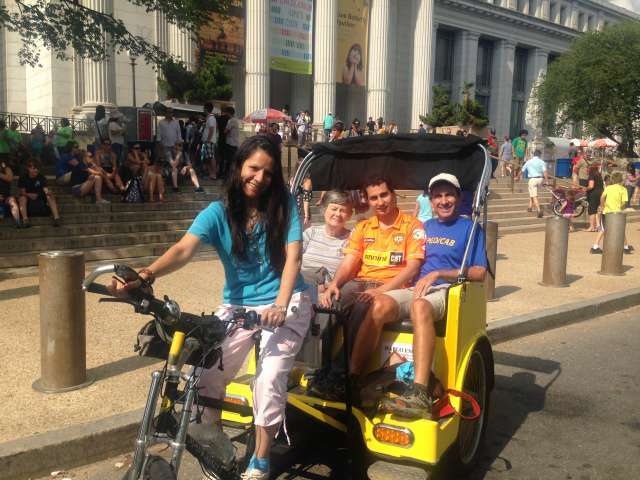 Every visitor to the nation’s capital is looking to see some of the world famous Washington DC museums. The Smithsonian Institution has 17 properties in the DC area, and there are many other fantastic Washington DC museum institutions as well. 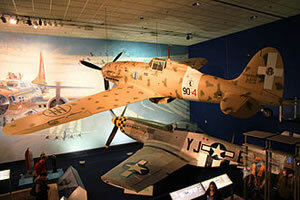 The Smithsonian Air and Space is one of the most well known of the Washington DC museums. Hanging from the ceiling and around the museum are the most famous air and space craft — the Wright Flyer, the Spirit of St. Louis, the Apollo 11 command module Columbia, and so much more. In addition to the enormous exhibitions, there is also an IMAX theater with many daily shows, a planetarium, and a flight simulator. Like all Smithsonian Museums, the entrance to the Air and Space Museum is always free of charge. However, IMAX movies, the planetarium and the flight simulator all cost money. Click for more information on opening hours at the Air and Space Museum. 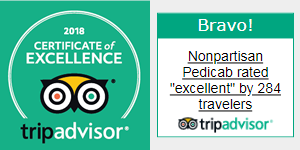 Looking to take in the monuments, museums, the White House and the US Capitol? Walk into the Smithsonian Natural History Museum and you are instantly confronted with an enormous African elephant. 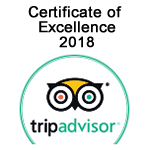 Follow through to the Hall of Mammals or the Fossil Hall of dinosaur and ice age mammals or the giant Blue Whale hanging from the ceiling or go see the Hope Diamond. Or go to one of the IMAX movies or the live butterfly garden. This is one of the best museums in DC. Like all Smithsonian Museums, there is no entrance fee to the Smithsonian Natural History Museum. However, IMAX movies and the butterfly garden cost extra money. Click for more information on opening hours at the natural history museum and other information. My personal favorite of the Washington DC Museums is the National Gallery of Art. Monet, Rembrandt, Picasso, Da Vinci, Rubens, Dali, Titian — the list goes on and on. You can get up close and personal with the art here. There are two buildings. The West Building has Renaissance and 19th Century Art (and much more). The East Wing has more modern art and sculpture. Whether you wish to see front pages of famous world events or oversized Pulitzer prize photos year by year or the 4-D Time Travel Theater, this museum has something for everyone. Even if you don’t want to go inside the museum itself, walk by the front of the Newseum to see the Today’s Front Pages exhibit — one front page from every state in the USA that they change every single day. Plus a few foreign newspapers from around the world that they change every day as well. 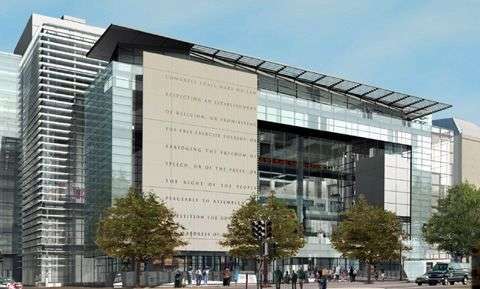 The Newseum is a one of the private museums in DC. Therefore, there is an entrance fee. $22.95 for adults, $18.95 for seniors, $13.95 for young adults 7-18 years old, and free to kids under 7. 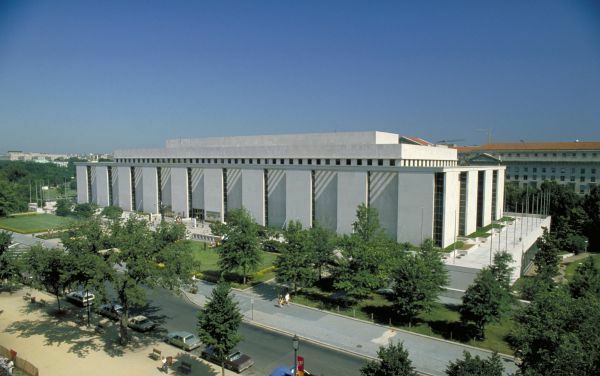 The Newseum is open from 9:00 AM to 5:00 PM every day of the year except Thanksgiving, Christmas and New Years Day. 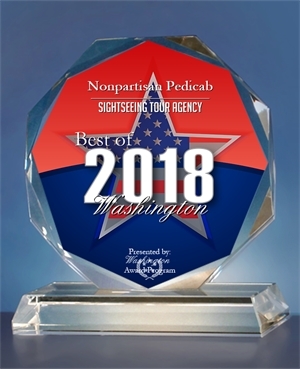 Looking for the Best DC Tours? Want to see the Smithsonian Museums and the national memorials? Whether you want to see the original Star Spangled Banner or an exhibit of First Ladies gowns worn to inaugural balls or George Washington’s sword or a piece of the original Route 66 or Darth Vader’s mask, the Smithsonian American History Museum has something for everybody. Like all of the Smithsonian Museums, there is no entrance fee to the Smithsonian American History Museum. Click for more information on opening hours at the Smithsonian American History Museum. Plan your visit to the Smithsonian Natural History Museum.